Strange title I know.. first off let me start by saying thank you! 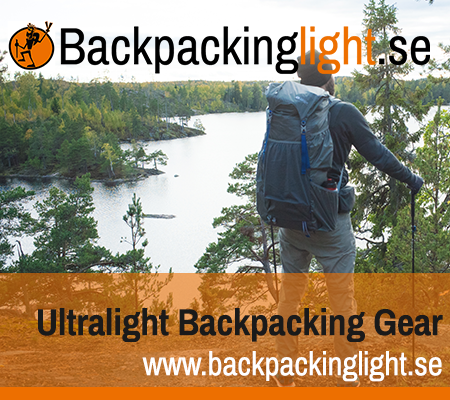 Thank you for following Ultralight and comfortable for so many years, and making this one of the most visited lightweight blogs around on the internet. It has been an honor to keep this site going and to keep it going in the future. With that said, I find that I have less and less motivation to write as I am enjoying the other formats better. Namely Youtube and very soon Podcast format. Most of the updates on this site will probably be in the form of Video or podcast moving forward as my time is getting rather limited these day with Backpackinglight.dk taking off. Video is a blast to work on, but takes an amazing amount of time. Each video I produce takes a minimum of 4-8 hours when all is said and done. While I certainly enjoy the format, it does take far more time than writing blog posts. Backpackinglight.dk is growing and is now a full time job and more – Thank you for the support! We are working hard on taking it to the next level. Cleaning up the format and re-writing a lot of product texts in both Swedish and English as well as adding gear reviews and so on to each product. Along with this I am also writing articles for Backpackinglight, as a guide for customers. I will write a more detailed article on the new Podcast series coming – I can say that it won’t solely be gear discussions and more about what makes people tick. What gets them out of bed and do the things they do day in and day out. How can we deconstruct what they are doing and apply it to our own lives? These are the kind of discussions that I love to have and I hope that shows in the series! For me, nothing is more important than a good morning routine. To set a standard so high in the morning that you can’t help but be productive the rest of the day. I have had some form of morning routine for the most part of my adult life. With that said, how does my day look? I am working on a video, but decided here on a Saturday night to just write a bit before I go to bed! 5.00 – I wake up do 10 quick pushups or burpees..
20 minutes of reading – usually books about philosophy, stoicism, self help, investing..
6.30 – start my day! Here I wake up my little boy and wife, make breakfast and take the little one to school. rest of day – burning questions or action items. Right now: Product text and format. 1000 products of re-writes takes time. Sometime after 15.00 I start working on videos, Podcast ideas, ULcomfort and so on. 16.00 My boy comes home and my evening starts! 21.00 my evening routine starts. Very nice post Kenneth and it’s great to know your business with your online shop is growing. Also, very interesting the “designing own gear” announcement. As an industrial designer, I would be very interested to know more about it. Furthermore, your daily schedule sounds very solid. Take care and good luck with all your future plans. Thanks 🙂 drop me a line.. would be interesting to talk a little!